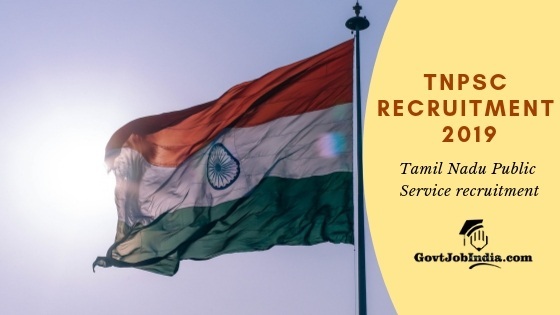 TNPSC Recruitment 2019: All the aspiring government job seekers in Tamil Nadu are presented with good news as the Tamil Nadu Public Service Commission has released the TNPSC Recruitment 2019. This recruitment drive is an attempt to recruit over 800 capable candidates into a number of vacancies in the TN Government. These posts include Assistant System Engineer, Assistant System Analyst, CCS-I Examination (Group-I Services), District Judge, and Assistant Agricultural Officer. All the details regarding the TNPSC Application Dates, Salary Scale, Eligibility Criteria etc have been provided on this page. Make sure that you go through the page before you apply online for TNPSC Recruitment 2019. We would also like to remind you that you make sure that you are eligible for the post you are applying for. This is a stellar opportunity for all the candidates who are seeking a govt job in Tamil Nadu. With a wide array of posts available, candidates are almost spoilt for choice in the TNPSC Recruitment 2019. All the details regarding the individual posts can be found below. 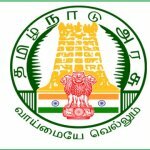 You will also find that there are links for all the TNPSC Vacancy 2019 have been provided here. So if you are interested in the TNPSC Recruitment 2019, make sure that you apply online for this opportunity before the last date. Hurry up as waiting for the last dates is highly unadvised. Keep on reading for more information regarding your eligibility. Educational Qualification 12th pass with a 2-year diploma in Agriculture from a recognized University Government of Tamil Nadu or affiliated with the Tamil Nadu Agricultural University, Gandhigram Rural Institute, Dindigul District or any other institutions under the control of the Commissioner of Agriculture. PG degree in Computer Applications (MCA) / Computer Science / IT. At least 7 years of Experience as a Lawyer. We hope all the information provided above has been helpful for your TNPSC Recruitment 2019 Online Application. Make sure that you pay attention to the individual application last date of all the recruitments enlisted above. If you have any doubts you can address them in the comment section below.